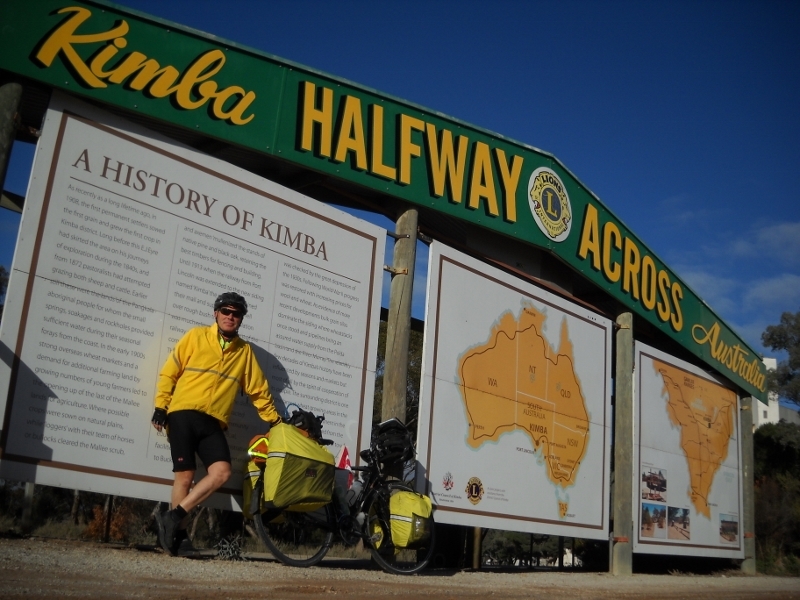 In 2012 Ian completed an epic adventure to cycle across Australia alone and unsupported. The 57-day, 5,000 km trek highlights the struggles through the desert and across the Great Dividing Range in winter, the logistics of managing food and limited water supplies but most of all it is about the Australian people Ian met and interviewed along the way. It is about their generosity in providing food, Aussie sense of humour and on one notable occasion a free beer in the middle of the desert! In 2009 Ian and his good friend Rick Goodfellow circumnavigated Iceland by bicycle. What was intended to be a 1,600 KM bike tour around the island in summer, turned into a battle for survival against winter-like weather. Ian and Rick encountered winds that blew them both off their bikes and frequently stopped them mid pedal stroke. The pair coped through perseverance, taking advantage of some "unusual" accommodations but above all by seeing the humour in their plight. In 2008 Ian was part of a 3 man team that cycled from Skagway on the Pacific Ocean to Inuvik on the Arctic Ocean. Following in the footsteps of the Gold Rush explorers of the late 19th Century, the team crossed 4 mountains ranges, called in at Dawson City and cycled the most northerly engineered road in Canada - The Dempster Highway - 800 KMS of gravel and mud through some of the most spectacular scenery in North America. UK - "END TO END"
In 2010, Ian and 2 UK-born friends cycled to the ends of the Kingdom. Ian and Simon Batcup from Canada and Peter Belcher from New Zealand met on a railway platform in London, took a train to Lands End and cycled 1,000 miles to the most northerly point in Scotland - John O'Groats. Not content with the challenge of riding 1,000 miles, they undertook an improbable challenge - to drink 100 different beers along the way!